Plum recently had a wonderful opportunity to create a promotional film for the opening of the Queensferry Crossing bridge. The stars of the show were undoubtedly the children of Bankton Primary School performing a song they penned especially about the iconic Queensferry Crossing. 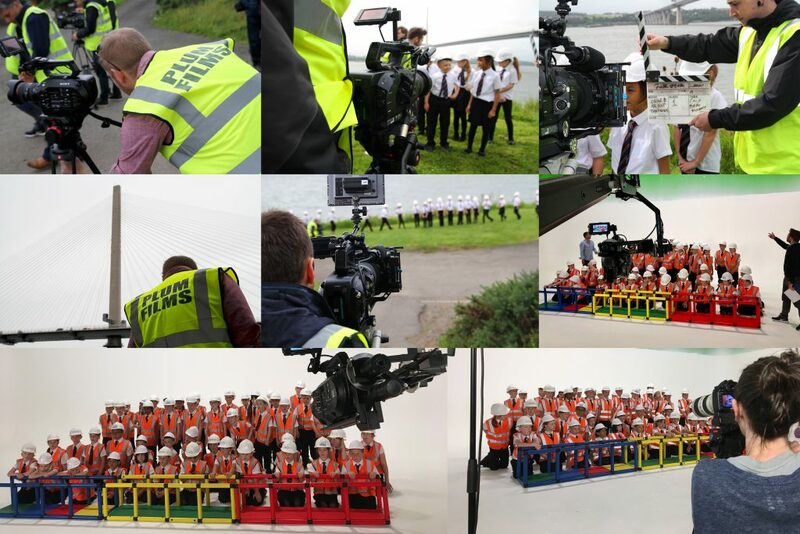 This performance deserved to be the showpiece of our film ‘Queensferry Crossing, Our Bridge’. And the fun didn’t stop there! At the opening ceremony of the Queensferry Crossing, some of the stars from Bankton Primary School had the joy of meeting Her Majesty the Queen, and presented her with a beautiful ‘Bankton posy’ (which she carried with her for the rest of the ceremony). The crew and cast had a memorable shoot, full of laughs and memories and supported every step of the way by the incredible staff at Bankton. We couldn’t have made the film without such teamwork, and we think the results show in the final film. “three bridges, all built in a different century and all different designs… and you don’t find that anywhere else on the planet”.